By helping fathers to improve their daughters’ physical activity levels, sport skills and social-emotional wellbeing, DADEE is a key component of a four-year, multifaceted strategy called Her Sport Her Way. In announcing the initiative, NSW Minister for Sport Stuart Ayers hoped the strategy would drive powerful change for women and girls in sport, expanding participation levels and leaving a legacy for future coaching and promotion. Currently, only 21 per cent of NSW girls younger than 14 participate in organised sport and physical activity outside of school, at least three times a week. Participation rates plateau at adolescence while boys’ rates are higher and continue to rise. 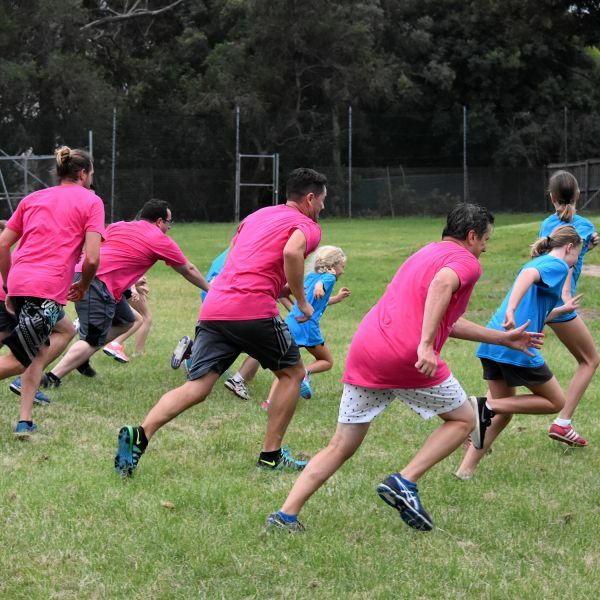 The four-year funding for DADEE will enable NSW Sports and Recreation staff to be trained to deliver the program, while sports-specific variants are developed for major sporting organisations. DADEE was conceived by physical activity researcher Professor Philip Morgan and colleagues, with the Hunter Medical Research Institute’s support, as the first program to teach fathers to be agents of change for daughters. It originated from a Hunter Children’s Research Foundation pilot grant in 2013 and received further backing from Port Waratah Coal Services (PWCS). Research findings show that DADEE has successfully improved girls’ self-esteem, resilience, sport skills and physical activity levels as well as spurring greater interest in playing sport. “The outcomes have been outstanding for both fathers and daughters,” Professor Morgan said. In 2019 the program will be replicated in England to help low-income families in London get active with their children, via a $A1 million grant from Sport England with UK organisations Women in Sport, the Fatherhood Institute, Fulham Football Club and the English Football League Trust. The research team comprises Professor Philip Morgan, Professor David Lubans, Dr Myles Young, Dr Narelle Eather, Emma Pollock, Dr Alyce Barnes, and Kristen Saunders from the Priority Research Centre in Physical Activity and Nutrition at the UON. HMRI partners with the University of Newcastle, Hunter New England Health and the community.